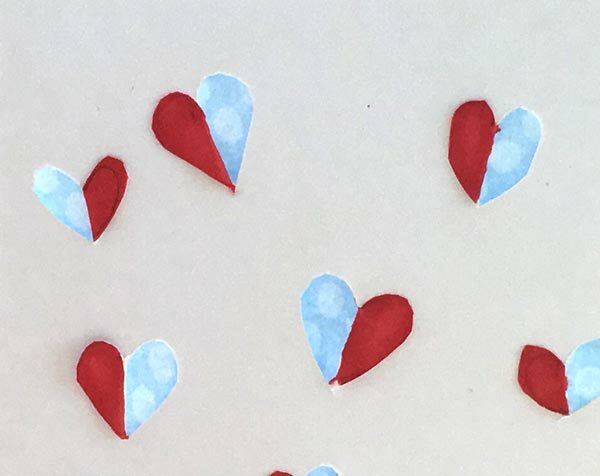 Who says hearts are just for Valentines day? Make and send this card any day you want. Take a piece of card stock and fold it in half to create a note card. 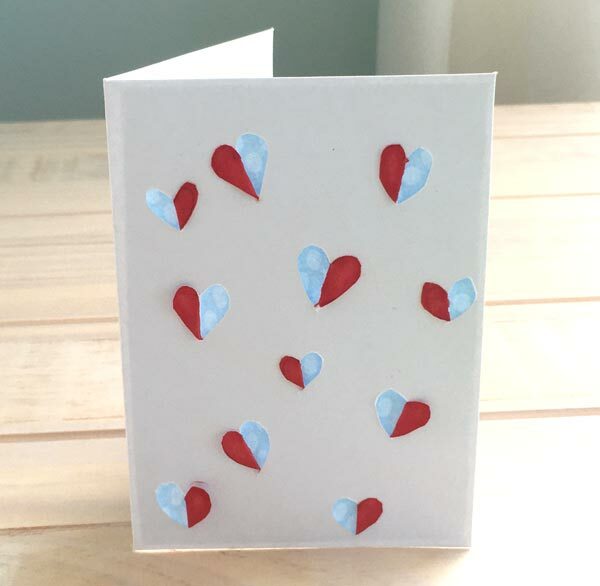 Then with a pencil lightly sketch heart shapes on the front of your card. They can be different sizes, and shapes, arranged in neat rows or completely random like those on my card. Using your craft knife and carefully cut along the outline of just half of each heart. Fold over on themselves and color in the underside of the folded piece with your marker. 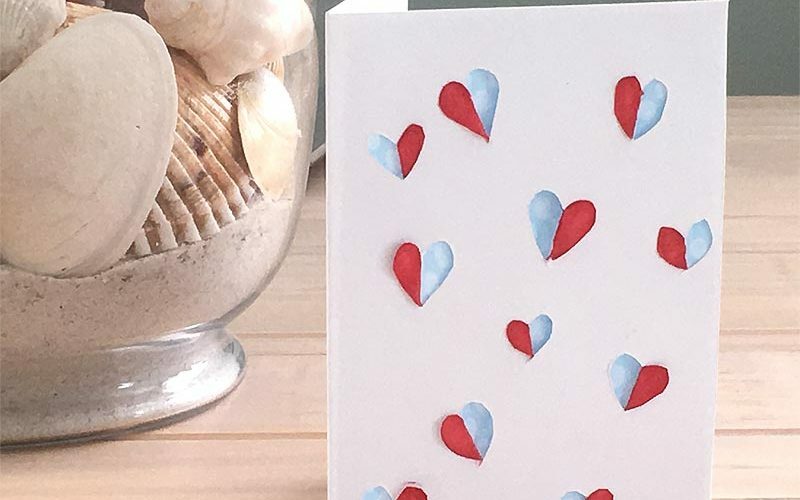 Then cut a piece of decorative paper a touch smaller than the dimensions of your card and stick on the inside. This entry was posted in Craft Projects, Paper, Valentines Day and tagged heart, pink. Bookmark the permalink.